Choose from two California Vacation Packages, and enjoy three great western cities – Los Angeles and San Francisco, in California; and Las Vegas, in Nevada – and numerous points of interest nearby. Your adventure is centered around California’s two premiere regions, with a very special getaway to Las Vegas. You’ll get to know the immense diversity of California and the western United States, from its bustling cities to quiet deserts, and sunny beaches to rocky coastlines. In Southern California, experience what made Los Angeles famous, by viewing the glittering past and present of the city’s film industry in Hollywood, Beverly Hills and more (including Disneyland or Universal Studios amusement parks); the beach communities that draw surfers year-round; and the Farmers’ Market, that showcases the agricultural abundance that also puts this area on the map. You’ll tour San Diego, The Getty Center, and other regional destinations to see the area’s impressive creativity and natural beauty. Another thriving cultural center, San Francisco in Northern California, is famous for its scenic beauty and cosmopolitan living. 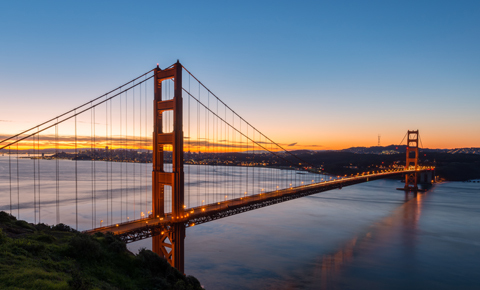 You’ll tour the highlights set amidst the city’s thrilling hills and bay, including the iconic Golden Gate Bridge, the still-active fishing community at Fisherman’s Wharf, curvy Lombard Street, historic Union Square, and colorful Chinatown. You’ll also take to the road to see the Napa Valley wine region, Muir Woods National Monument’s redwood forests, waterfront Sausalito, and stunning Yosemite National Park. On your Las Vegas getaway, soak up the neon-lit oasis’s famous casinos, shows, nightlife, and the fantastical architecture of The Las Vegas Strip and downtown areas. Experience the town’s many diversions, or relax by the pool and take in a spa treatment – this time is yours to enjoy. Depending on the package and options you choose, your trip also visits world-famous destinations near each of the three cities, such as: Alcatraz Island, Carmel, Grand Canyon National Park, Monterey Bay Aquarium, and more! California Vacation Packages start in your choice of Los Angeles or San Francisco, and move on from there. In both packages, you’ll enjoy a well-planned getaway, seeing the areas above in about two weeks’ travel time. For each vacation package you may choose from the Classic Package, offering a carefully-planned, comfortable and comprehensive experience, or a Deluxe Package, with additional options and upgrades. 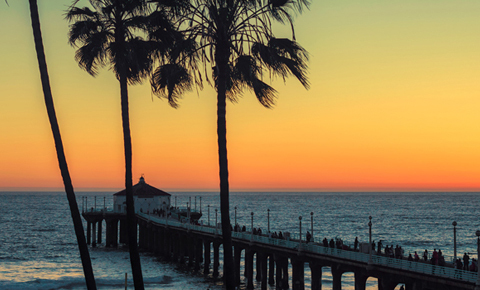 All California Vacation Packages are customizable.